Understanding how to help TBI victims is a national concern. A recent Penn Medicine article profiled some of the unique challenges that traumatic brain injury victims cope with. The Penn article cites figures from the Centers for Disease Control and Prevention. 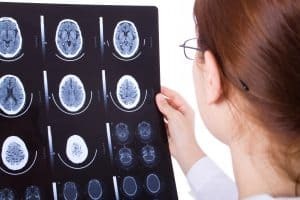 Per their research, TBI injuries – which can be caused be a car accident, a slip and fall, or for other reasons – happen to about 1.7 million people each year: about 275,000 TBI victims are hospitalized, and more than 50,000 people die each year. The rest are usually treated in the emergency room and then released. Being released is just a step in the process. Many TBI victims who are released suffer for years or for the rest of their lives. Often, continued medical treatment with neurologists and therapists is necessary. TBI victims suffer with speech, memory, vision, perception, and cognitive abilities. Some suffer seizures. Temporary paralysis is also common. Many victims suffer from the stigma of having a TBI injury. They feel isolated. Many survivors feel good one day and then horrible the next. Support groups and forums are great resources for victims because they allow the victim to connect with other victims who feel similarly. Janine Kirby, a relatively young project manager, suffered a TBI when she was struck by a construction site steel beam. Janine said that a year and a half after the accident, seizures began occurring two to five times weekly. Janine has been unable to return to work and needed to learn to speak in full sentences. In another example, Natanya Sortland had a series of head injuries and collisions from violent seizures. She was forced to quit her job training dogs. She was eventually asked by her boss to train her replacement because her cognitive ability to handle the dogs was diminished. Being discharged left her feeling bad about herself. She felt hurt that her brain wouldn’t let her enjoy the intelligent world around her. “It’s like I have this fabulous library that I can’t access anymore,” she said. Natanya, with the help of brain injury support group, was able to change careers. Candace Gantt’s TBI was due to a bicycle accident 13 years ago. She founded her own support group, Mind Your Brain @ Penn Conference, to help victims, families, and caregivers get the assistance they need. She explained that the journey to recovery is a marathon that requires a training plan, coaches, supporters, and resources. At the Rocky McElhaney Law Firm, our Nashville TBI lawyers have the resources and experience TBI victims need. We have working relationships with many TBI care organizations and a team of TBI physicians and therapists. If a loved one is suffering from a TBI or died in an accident, we fight to obtain the maximum compensation available and the justice that you and your loved ones deserve. To learn about your rights and options, please phone us at 615-246-5549 or complete our contact form to schedule a free consultation. Our offices are located in Nashville, Hendersonville, and Knoxville, and we proudly fight for clients throughout Tennessee.